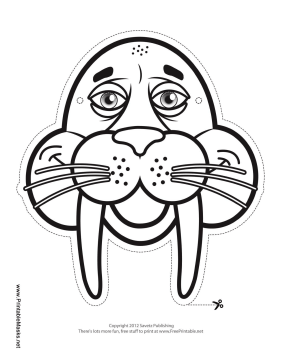 Color in this walrus outline mask for a very fun playtime project. This mask includes long tusks and whiskers just like a real walrus! This mask is free to download and print.